I’ve gotten a lot of questions lately about ammunition, even though the ammo shortage has been going on for months. More specifically, these questions have been about how much to store, what kind to store, and where to store it. I realize that ammo is still hard to find in most parts of the country and that 10 minutes after it’s delivered to Walmart it’s already disappeared from the shelves. That’s why, if there was only one type of ammo I could get and one type of ammo that I believe everyone should be focused on, it’s .22. First, you and I know that .22 is less expensive than 9mm, .40, .45, and other types of ammo, so we can afford to train more with it and enhance our skills. But price isn’t the only reason to stock up on .22. It’s also a lot lighter and easier to carry. 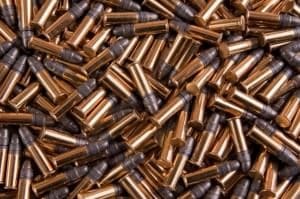 If you had to head out somewhere on foot or even quickly haul ammo to a vehicle, it’s a lot easier to carry 1,000 rounds of .22 than 1,000 rounds of .45. What’s more, .22 has less recoil and is easier to shoot and train on. If things got really bad in your town and you had to arm family members who weren’t extremely well trained they could handle a good .22 rifle or .22 handgun better than an AR-15 or Glock 30. But what about the ability to stop an attacker with a .22? Well, I think most people can agree that while it’s not the perfect self-defense round, it can still do the job. For my own self-defense round I use 9mm Speer Gold Dot. But if things got so bad that I’d gone through all of my 9mm rounds and I had to use .22 for safety and survival I would have no problem at all. The truth is, it would just take more rounds to stop the attacker than it would with 9mm, .40, or .45, but it would still get the job done. And as I’ve mentioned in the past, for all of the people that claim the .22 is so weak that they’d never use it in a million years for self-defense, I’ve never had a single one of these people ever volunteer to be shot with one. 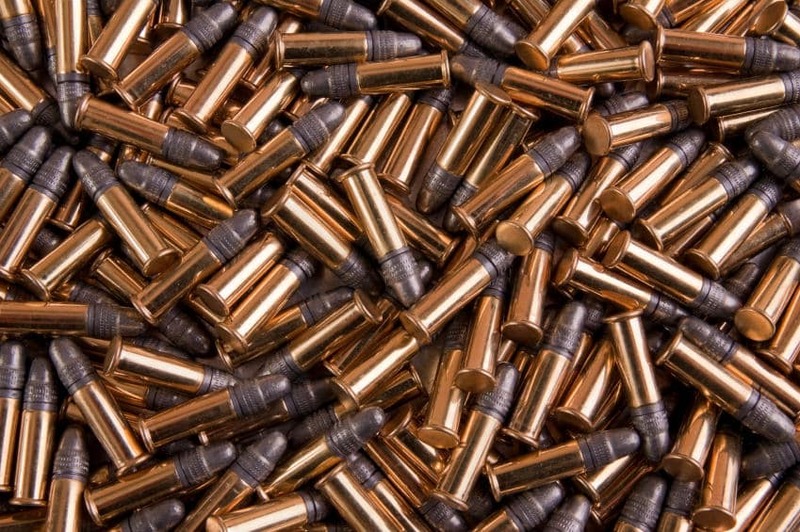 So how much .22. ammo should you stock up on? Since it’s cheaper and easier to carry I’d get at least 5,000 rounds as soon as you’re able to. .22 comes in “bricks” of 525 so it only takes 10 bricks to get that amount of ammo. If you can afford more I would certainly do it, but 5,000 rounds of ammo is a decent amount to have for safety and survival purposes. One thing I will mention is that I wouldn’t store all of your ammo in one place. You can split it up in different areas of the house, perhaps having a few thousand rounds in the basement and the rest in the attic. Even better would be to split up your ammo and keep some at your home and the rest at an office, storage unit or other cache location. Wherever you end up keeping it, the most important thing to remember is to store the ammo in a cool, dry place. In other words, your home should be fine, but if you get a storage unit it will need to be a climate controlled unit as you don’t want the ammo sitting in the summer heat when it’s 110 degrees. Of course, one last thing I should mention is the bartering ability of having .22. I pray that things never get so bad in this country that we’re forced to barter with .22, but if the situation ever occurs .22 could be a lot more valuable than the paper money in our wallets. The bottom line is, get some more .22 when you can find it (I like Remington’s Golden Bullet Value Pack) and get out there and do more training, both by yourself and with your family members.